James Gill, professor emeritus of Earth and planetary sciences, will deliver the spring 2015 Emeriti Lecture at UC Santa Cruz on Monday, May 11. His talk, "Volcanism as the Re-creation of Earth," will take place at 7:30 p.m. in the Music Recital Hall on the UC Santa Cruz campus. It is free and open to the public. Parking staff will be on duty at the Performing Arts lot to offer complimentary parking for the lecture. Gill will explore the impacts of volcanic eruptions and their significance as a primary mechanism of planetary change. The magmas that erupt from volcanoes are highly variable because the rock that melts is so variable, resulting in different kinds of eruptions and volcanoes. Gill's illustrated talk will summarize the three main volcanic regimes on Earth, with an emphasis on the subduction zones where tectonic plates converge, which Gill has spent most of his career studying. The magmas in subduction zones are unique to Earth, are the most explosive, create the most valuable metal deposits, and produce the continents on which we live. Gill is an expert on volcanoes and the study of how volcanic magmas evolve within the earth. He served as vice chancellor for research at UC Santa Cruz from 1994 to 2000. Gill retired from teaching and administration in 2010, but continues to have an active research program. He received a Humboldt Research Award in 2011 and was elected a fellow of the American Geophysical Union in 2014. Gill earned his B.S. in geology from Wheaton College and Ph.D. in geochemistry from Australian National University. 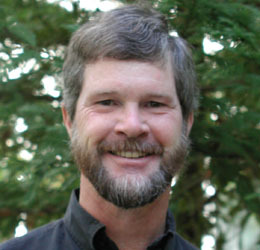 He joined the UCSC faculty in 1972.